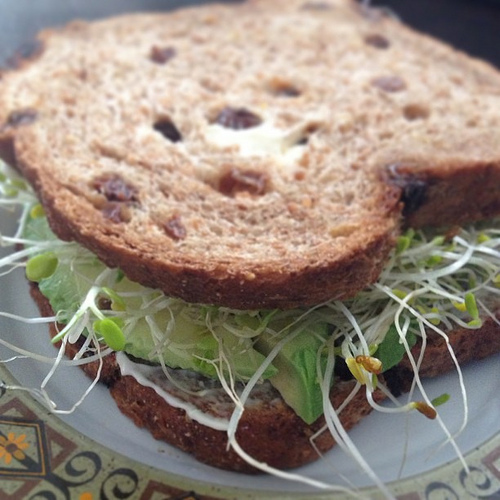 Food Costs > How Much Does Ezekiel Bread Cost? How Much Does Ezekiel Bread Cost? Ezekiel bread, unlike traditional bred, contains a number of sprouted grains, including barley, wheat, spelt and millet. The sprouting process, along with the combination of the wheat, offers several unique properties traditional bread can’t offer. How much does a loaf of Ezekiel bread cost? On average, a loaf of Ezekiel bread can retail for $4 to as much as $6 per 24-ounce loaf. The costs will depend on the size of the packaging, where you live and where it’s purchased. From our research, the whole grain loaf will be about $1 cheaper than the flavored/specialty bread such as cinnamon or sodium free. The highest rated Ezekiel bread on Amazon.com, for example, retails for close to $4 for a 24-ounce loaf. At Trader Joe’s, for instance, a loaf of Ezekiel bread costs close to $3 or sometimes cheaper if they are having a sale. Unlike traditional bread, Ezekiel bread will be frozen since it has no preservatives and contains no sugar when purchased at the local grocery store. You can find the bread on Amazon, Trader Joe’s, Kroger, Safeway, Whole Foods, Publix, Food City, Walmart and some farmer’s markets. The bread can be found in the frozen food section, not in the bread aisle to help prevent mold and retain its taste. Typical packages are 16 to 24 ounces. All of the ingredients are organically grown, including organic sprouted wheat, organic sprouted millet, organic sprouted soybeans, fresh yeast, organic malted barley, wheat gluten, sprouted lentils, sprouted barley, filtered water, organic sprouted spelt or rye, and sea salt, according to the official Food for Life website. The bread is 100 percent organic, gluten-free and contains no preservatives, artificial sweeteners or shortenings. A slice of Ezekiel bread will have 80 calories, 75 milligrams of sodium, 15 grams of carbohydrates, four grams of protein, 80 milligrams of potassium and five grams of fat. The bread is a great source of vitamin B6, folic acid, calcium, zinc, iron and magnesium, making it more easily digested, allowing you to absorb more nutrients when compared to traditional bread. Ezekiel bread is low-glycemic, making it a great choice for diabetics. In fact, the company claims it can help lower your blood sugar, reduce spikes, reduce your weight and help control your diabetes. Since the bread doesn’t contain a trace of butter, milk or eggs, vegans find it as a great option to help meet their calcium, iron and protein daily goals. According to the company, Food For Life, a fresh loaf can last five days, but if refrigerated, it can last up to two weeks. A frozen loaf can last up to a year. Consider baking the bread from scratch for half the costs. The Prairie Homestead, for example, offers an easy-to-follow recipe. Some name brands may have coupons or promotions that you can take advantage of. Consider purchasing in bulk. Some retailers can sell up to six loaves at a time, which can be a lot cheaper than buying an individual loaf.